Welcome to Paws to Parks, a professional dog walking service in Bexley and the surrounding areas. We offer dog walking, dog daycare, pet transportation and more. Based in DA5 we provide a range of services in Bexley, Bromley, Chislehurst, Petts Wood, Sidcup and beyond into Kent. We are fully insured, DBS checked and a member of NarpsUK. As trained Dog Walker we understand that every dog is different, and treat each dog as an individual. Walks can be tailored to accommodate their needs whether in groups or solo adventures. Our walks are designed to provide your loved ones with all a dog needs. The right amount of exercise, plenty of play time and social interaction with other dogs and people. We will pick up your dog from your chosen location, then take them for a walk, ensuring they are returned home clean. 15 minutes playtime with cleaning / feeding as appropriate. £6 per hour for any additional dog. Core hours of this service are 9am - 5pm and include pick up and drop off. Times outside these are available on application. 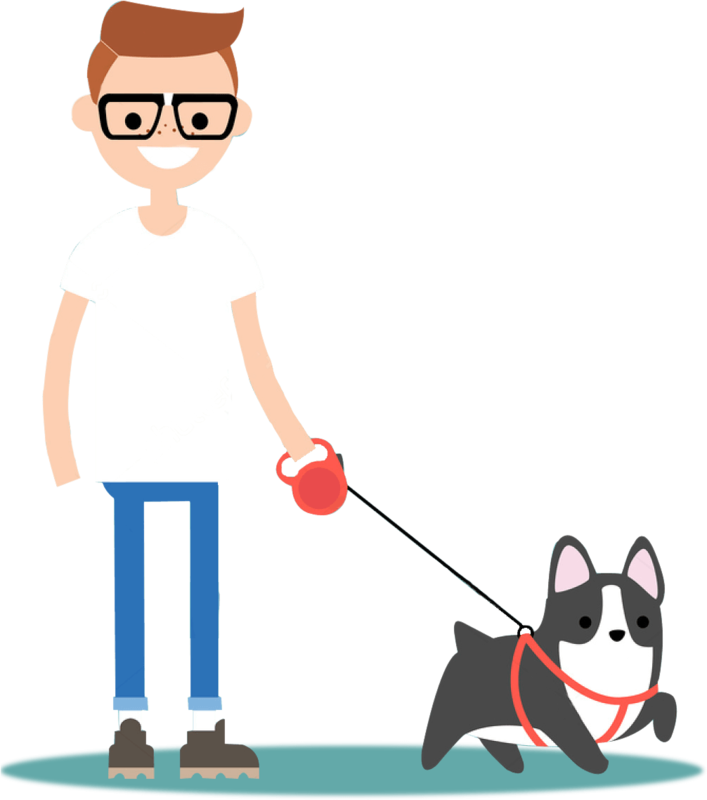 Visits are short, 30 minute check-ins to provide company to your pet. We can visit your home as required by you during the day and provide company to your pet. We can provide a live in service while you are away. This also includes care of all pets at your location, please call us to discuss. If you need to take your pet to a vet appointment or to the groomers we are available to take your pet to their required destination using our safe and secure own transport. We understand each dog is different and the welfare and happiness of your pet is paramount to us. We pride ourselves in catering for the specific needs of your individual animal. We promise to care and love for them as if they were our own and we ensure they receive the exercise and stimulation they need. Many amazing and wonderful pets have made their way into our hearts over the years and we look forward to meeting yours soon. Who are Paws to Parks? I’m Simon and have owned and loved dogs for over 30 years. I’m passionate about animals and have high standards of professionalism and care. 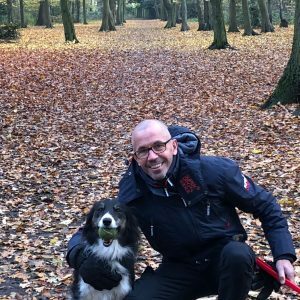 Dog walking is my dream job and I provide a safe, fun and flexible environment tailored to your needs. Please contact me for a face to face meeting where we can get to know you and your dog better, providing you with the confidence that your dog is in the best of hands. Offering dog walking, dog daycare, pet transportation and more. Based in DA5 we provide a range of services in Bexley, Bromley, Chislehurst, Petts Wood, Sidcup and beyond into Kent. Based in Bexley DA5 we provide a range of services in Bexley, Bromley, Chislehurst, Petts Wood, Sidcup and beyond into Kent. We accept BACs, cash or cheque. We keep our group walks small, taking no more than 4 dogs at any one time. This means we can provide a safe and more bespoke service for your dog on their walk. Individual walks are also available if required. Yes, with your written consent, and only in safe areas away from roads, and only if we are confident that they will return when called. If you are concerned about your dog’s ability to obey a recall we will keep them on a lead. Does my Dog Need To Wear A Collar and A Tag? Yes, The Control of Dog’s Order 1992 requires that a dog wears a collar and tag, or disc showing the name and address of the owner. What Can I Expect In Our First Meeting? Our initial consultation gives both you and your dog the opportunity to meet us and discuss your needs in detail. It also gives you the opportunity to view our professional portfolio of certificates and ask any questions you may have. During the consultation we take time to listen carefully to your requirements to ensure we are well suited. Yes we do. If you are cancelling a minimum of 48 hours’ notice is required, otherwise the missed service will be charged at the full normal rate. This policy is to compensate us for lost revenue from turning away other business to honour your booking. Will You Walk My Dog in All Weathers? Yes, regular exercise is vital for your dog’s wellbeing. For this reason we walk in all weathers, so you can be confident that your dog won’t miss its walk – rain, hail or shine (the only exception being extreme weather conditions which may present a risk to the safety of your dog). In the unlikely event of an emergency we will inform you immediately. If your dog requires veterinary attention, we will transport it to your allocated vet or the nearest veterinary surgery, depending on the degree of urgency. Does my Dog Need To Be Vaccinated and Vet Registered? Yes, we are only able to take on pets that are vet registered. We will record your vet’s details on our veterinary release form and ask you to leave an emergency contact number in the unlikely event there’s a medical problem. We also require all vaccinations to be up to date.